This 18 inch variable remote control Empire Super Charred Oak gas log set by White Mountain Hearth is vent free and requires no vent or chimney. 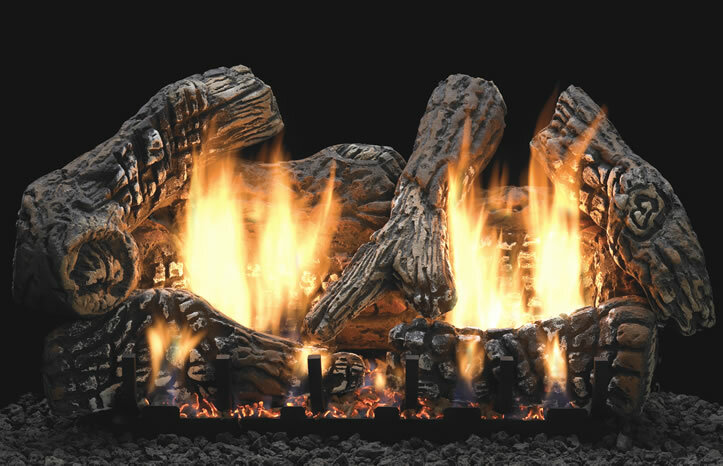 Hands down this is the best looking log set because of the slope glaze burner design the flame is very active and not defined as with other brands. The super charred oak logs are larger for taller fireplaces and are molded from real wood and painted to be the most realistic. The controls are also hidden so that you do not see knobs and switches from the front. This set comes with a variable remote control that will allow you to turn the flame up and down and on / off.